Total House Wash – Get rid of the green! Check out our Before and After Pictures! 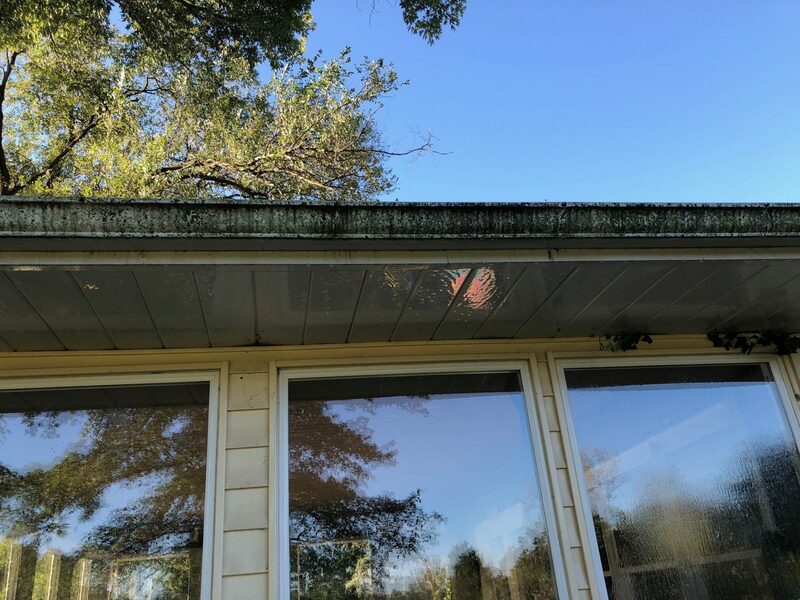 Is Algae, Mold or Mildew growing on your home? Do you have RUST stains running down your siding? Have your gutters turned dull over the years and are stained with black streaks? Do you have black streaks on your roof? Did you know these can safely be removed without harming your shingles? See our Roof Cleaning page for detail. We eliminate all these embarrassing looking elements from your home. Are you busy and simply don't have time to clean your windows on the outside AND from the inside? Are your exterior windows hard to reach? We can help! It can be difficult & time consuming to clean the outside windows and if they are on the second story it may be very hard to reach them. We can clean the windows, get rid of all the dead bugs and dirt build up in the window tracks and clean your screens! 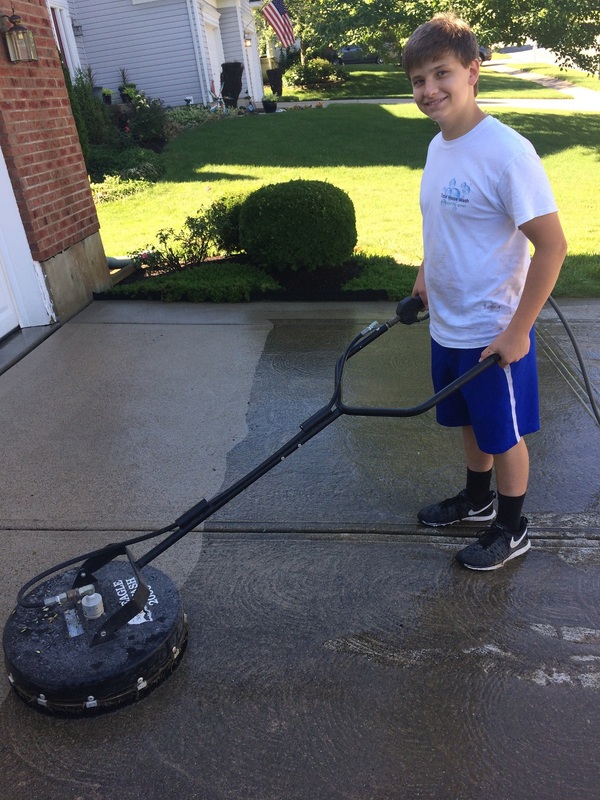 My son Justin loves cleaning driveways and sidewalks. Have you noticed that your driveway has black mold or green algae growing on it? Does your deck or sidewalk get slick when it is wet? We can get rid of these nasty elements and clean get your driveway, sidewalks, wood and composite decks! 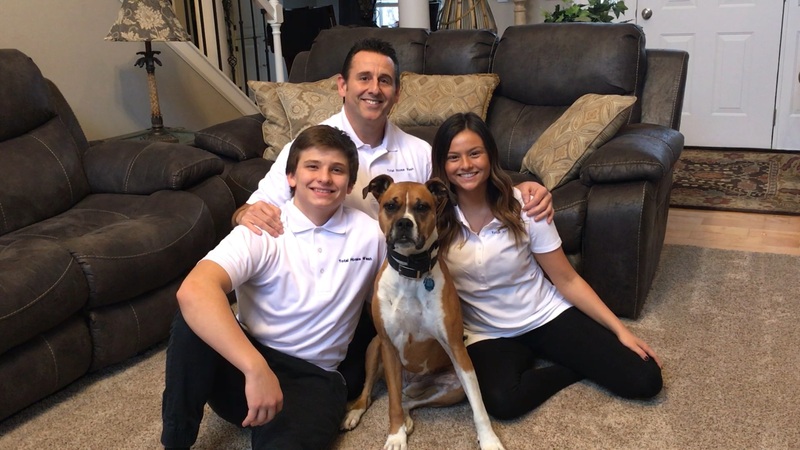 We use non-Toxic and environmentally friendly surfactants and enzymes to clean your carpets and to remove pet urine. Visit our Carpet Cleaning page for the details. We have easy to understand pricing that ranges from $5 to $15 per window. If your windows are oxidized, we will also remove the oxidation for only $5 more per window. We average $0.10-0.15 per sq ft for Sidewalks and Driveways. Decks: Our pricing is around $0.25 per sq ft.
Total House Wash is a Christian family owned business that prides itself in a job well done. 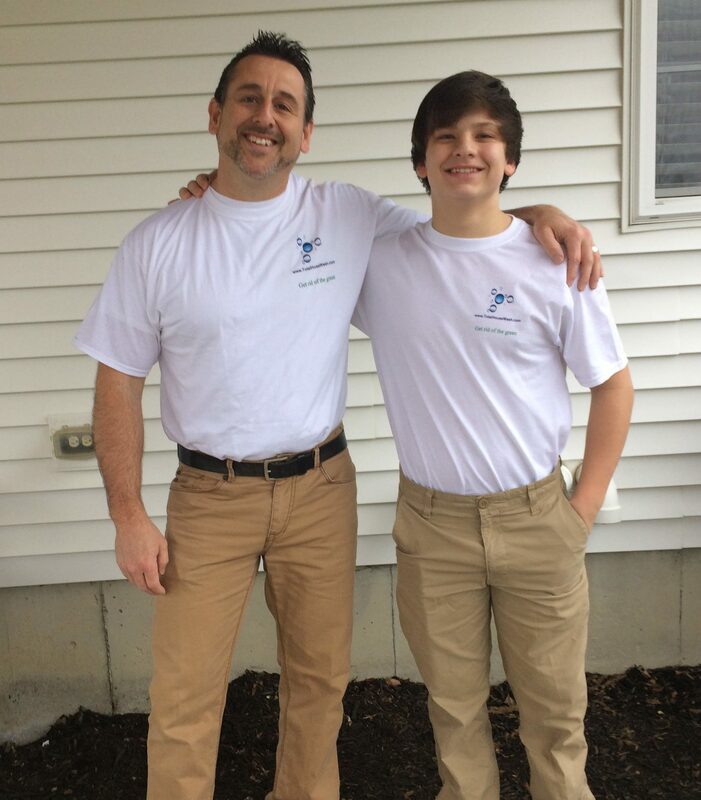 Visit our before & after gallery to see many of our happy customers! We support Israel, and believe in Genesis 12:3 so starting 2018 we are sending 5% of our profits to Israel, the first organization we are supporting is the International Fellowship of Christians and Jews. 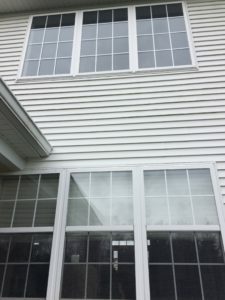 We are professional and courteous when we enter your home to clean your windows and when cleaning your siding, we use non-toxic biodegradable & environment friendly algaecides and detergents to get rid of the green! For our window cleaning services, we work with you on exactly what you need and price the job accordingly. If you have 2nd story windows that are hard to reach, we can clean these hard to reach windows for you. If you only want the outside of the window cleaned, we will only focus on the exterior. Our Window Cleaning page outlines the commonly requested services and the packages we have created to make the process easy! 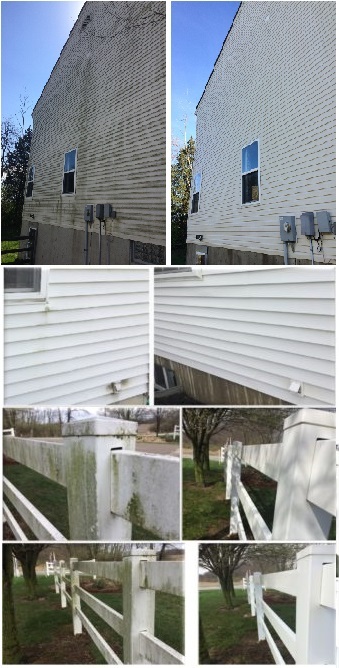 For our siding cleaning services, we use our mixture of biodegradable detergents and algaecides to dissolve the algae and rinse away dirt and grime. We have a checklist that we go through on each our jobs to ensure water doesn't get behind the siding, all electrical outlets are properly sealed and your windows are shut so water doesn't find its way into your home. 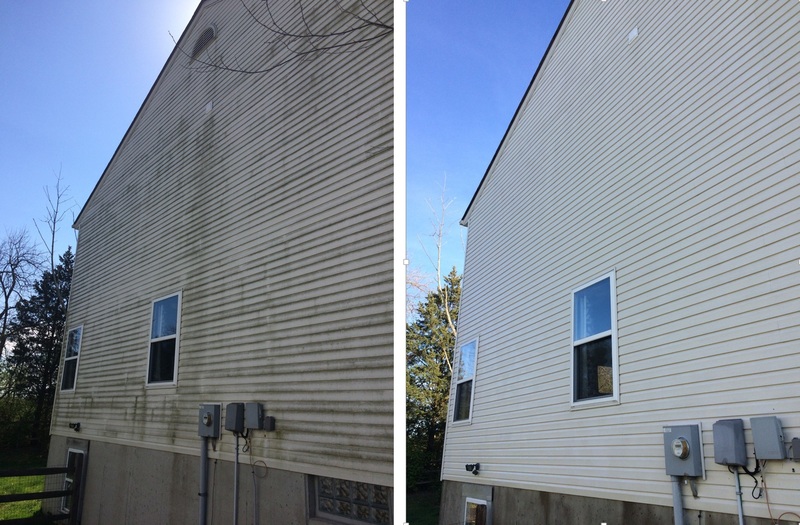 We use a "Soft Wash" approach using low water pressure with our high volume water output power washing system to safely clean the siding from algae, mold and mildew. In addition to getting rid of the algae, mold and mildew and from your siding and gutters we also get of the cob webs in your entry ways using our soft cloth & soft brush applicators at no additional cost. 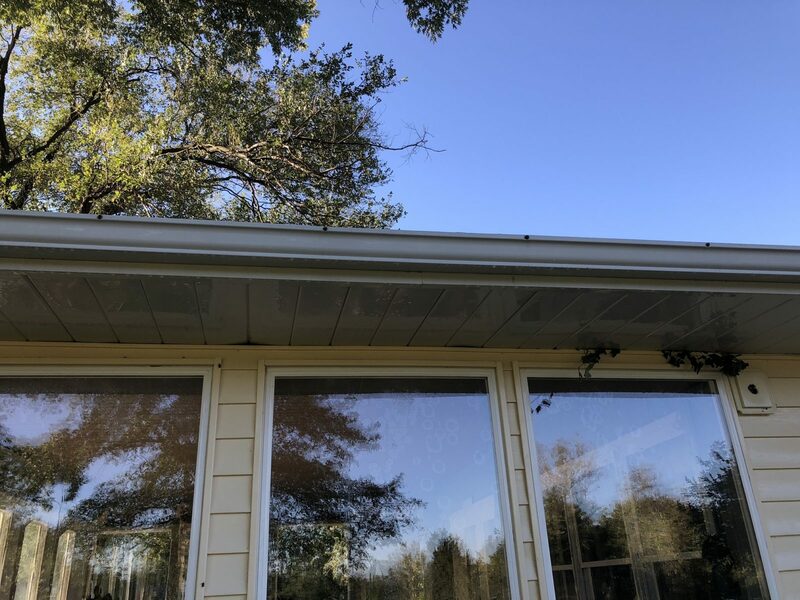 For an additional cost we can also take additional time to clean streaked and oxidized gutters and remove rust stains from the siding. If your gutters have become oxidized and have ugly black streaks on them, we can make them look new again. If there are rust stains on your home, we can rid your house of those ugly brown streaks. Once we arrive to your house we will point out any of these items to you and provide a quote as needed. When cleaning driveways and sidewalks we use an area pressure washer system designed for driveways and sidewalks to minimize the amount of water and maximize the cleaning results. We will leave the driveway & sidewalk areas clean with no streaks that are commonly left behind by a powerwasher wand. We produce excellent results in a short amount of time, see our before & after pictures for amazing results. For cleaning decks, we only use water hose or low pressure "soft washing" from our power washer. We will NOT damage your deck! We first make sure that all excess dirt debris and mold build up is washed off with our detergents and some good stiff bristle mopping action. After a good rinse we apply algaecide to the deck that brightens the wood and kills the algae, mold and mildew. For house siding, some of our customers only want the North sides of their house washed because that is typically the shaded side where algae, mold and mildew thrive. The cost is based on the size of the wash area. If your driveway, deck or fence needs cleaning up, we'll tackle those too! Check out our Window Cleaning page to see the packages we have created. Email or call us for a free quote, it may be cheaper than you think! Please include your address and phone number and we'll come out and give you a detailed quote. We are currently serving the Lebanon, Morrow, Maineville, Monroe, Springboro, Waynesville, Middletown, Franklin and West Chester areas.